Walking among the firs during rut season has its own dangers. 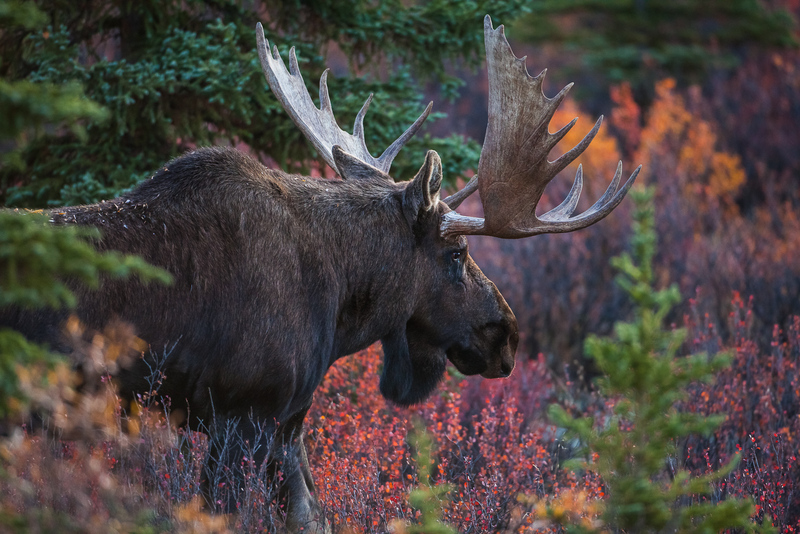 This large moose checks out the territory in a part of Denali known for its gathering of moose to prove themselves for the mating season. Photo © copyright by Lance B. Carter.